Green Mineral felt provides roof protection & durability & is a cost-effective way to protect your cabin for those on a smaller budget. Green Mineral felt is a glass fibre based & reinforced with oxidised bitumen coated sheet, which has a protective fine green mineral finish to give it protection from UV rays. A single layer delivers a high performing, lightweight, flexible roofing system with thermal insulation qualities. Green mineral felt is the cheapest roof covering & it is easier, safer & quicker to install, so smaller labour costs. The main down side is its longevity. Even the suppliers say that standard shed felt is only good for 5 years. A roll of the thicker garage felt might last a bit longer say 10 years. Here at CJ Timber Cabins with all our felt roll installations we use the thicker garage felt & we provide a breathable waterproof membrane underlay, for added protection from the elements & for when that time comes to replace your felt your cabin stays water tight. An alternative to shed felt is felt shingles. Felt roofing shingles are a light weight, glass fibre based bitumen strip slates & gives the appearance of a highly decorated tiled roof finish, The shingles are designed to be pretty durable and with manufacturers claiming a life span of between 20 and 40 years, so you shouldn’t have to replace them too often. These self adhesive shingles come in packs that cover about 3m² and are nailed down to the cabin roof, with blobs of mastic on the tab corners to aid water proofing & adhesion until the tabs self bond in summer conditions. The Tabs overlap each other so that you have a fish scale sort of effect and the roof is covered by at least two layers at any point. Felt shingles come in a variety of colours, most commonly green, brown & red they also come in a variety of shapes square, rounded & hexagonal. Shed felt comes in a roll and costs about £1 per square metre. Shingles come in packs that normally cover 3 m² and work out about £7/m². On material price per m² then shed felt is the cheapest by far. However if you look further and consider the cost/m² per year then the difference is a lot less. With a life span of 5 years shed felt costs 20p/m²/year, felt shingles with a 25 year life span come in a lot closer at £0.28/m²/year. When you price in your time for re-felting and repairing the roof every 5 years, the benefit of improved appearance with shingles and the reduced risk of water damage to the contents of your shed the shingles start to look a lot more attractive. The protective nature of asphalt shingles primarily comes from the long-chain hydrocarbons impregnating the paper. Over time in the hot sun, the hydrocarbons soften and when rain falls the hydrocarbons are gradually washed out of the shingles. Along eaves and complex rooflines more water is channeled so in these areas the loss occurs more quickly. Eventually the loss of the heavy oils causes the fibers to shrink, exposing the nail heads under the shingle flaps. The shrinkage also breaks up the surface coating of sand adhered to the surface of the paper, and eventually causes the paper to begin to tear itself apart. Once the nail heads are exposed, water running down the roof can seep into the cabin around the nail shank, resulting in rotting of roof building materials and causing moisture damage. 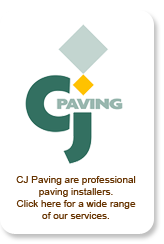 We at CJ Timber Cabins would like to offer the finest roof covering of them all! Western Red Cedar Shingles make an ideal roofing material. These Cedar Shingles are lightweight, practical & very aesthetically pleasing! 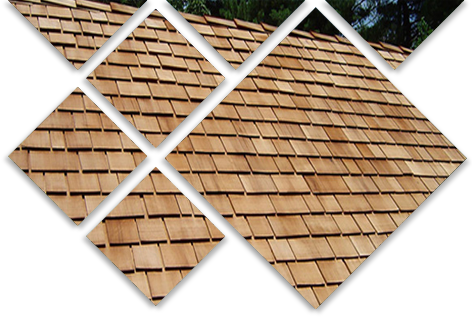 Cedar shingles and shakes roof tiles have been used for hundreds of years and have proven their durability in all kinds of climates. They can be used to create individual buildings, whether traditional or modern, and their rich, warm color and texture blend beautifully in any natural environment. The natural effects of ageing and weathering give shingles and shakes, in time, an attractive silvery grey color. We only use Certigrade No. 1 grade Blue Label Western Red Cedar shingles for a high quality finish, as the Red Label Cedar shingles are not suitable for roofing applications. The N o. 1 grade Blue Label Cedar shingles are made from 100% heartwood, 100% clear and 100% edge grain with no defects, Sourced from sustainable forests in western Canada.